For political reasons, the Liberal media covered up this eyewitness account of Saddam Hussein moving chemical weapons. During the American Policy Roundtable Making a Difference Banquet, held on September 21, 2007, the panel questioned General George Sada. Sada was an eyewitness to the dictatorship of Iraq’s Saddam Hussein, thus the panel asked about WMDs, Syria, and Russia. This interview vindicates the Bush 43 administration. Further, Sada explains how Syria got its hands on chemical weapons that we likely used in Assad’s recent attacks on his own citizens. Sada recalled that Saddam planned to carry out a chemical attack against Israel in two waves – one coming through Jordan, and the other through Syria. After a long discussion, Hussein decided against that attack, as he decided instead to hide the WMDs, then later transfer them to Syria. Bombshell No. 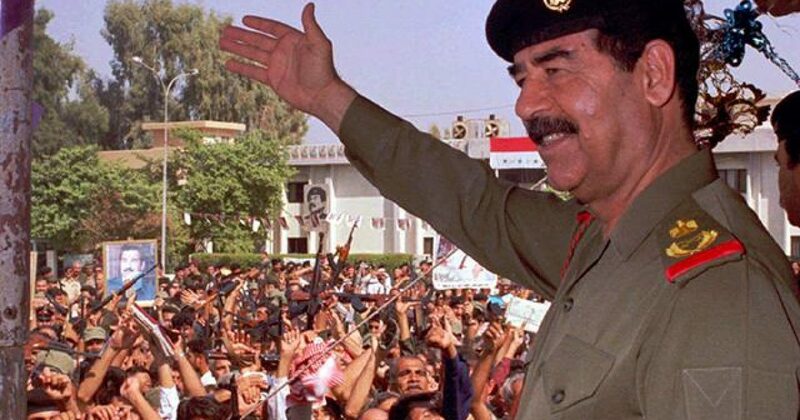 1: Saddam Hussein hid Weapons of Mass Destruction (WMDs) from 1991 until 2002. Bombshell No. 2 – In early June 2002, a dam on the Orontes River in Syria burst, causing a flood which killed 22 and displaced 4,000. Saddam Hussein used that natural disaster as an excuse to move his WMDs. Bombshell No. 3 – RUSSIA helped Saddam transport WMDs out of Iraq. Bombshell No. 4 – The Media knew and refused to report the weapons transfer because of politics. Interviewer No. 2 – “But the British newspapers wouldn’t print it. Bombshell No. 5 – The American government knew as well. Interviewer No. 3 – “Have you told the story to our federal government? Interviewer No 3 – “The White House, what’s been their response? Sada – “They know. They know all the story, and they say, ‘The general is right.’ The only thing is, if you call the Congress now, to Pete Hoekstra [ranking member of House Intel Committee at the time]. He will tell you, Yeah, the general is right. The only thing now is, how to verify them [the WMDs]. 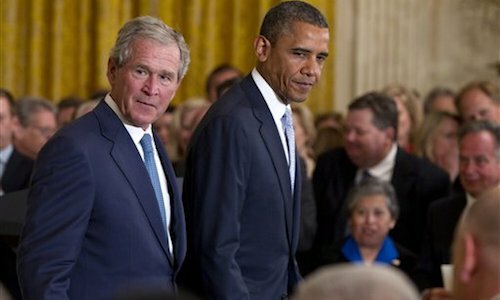 Let’s see if the media makes mention of Bush being right about WMDs. Or perhaps they will admit to being complicit in the murder of Syrian citizens?